Here are some helpful tips when you are on Mahe. We try to improve this page as much as possible. If you have a tip, don´t hesitate to get in contact with us, or tell us on Facebook we´d love to publish it if it is helpful for others too. When you hire a car, you sure want to visit Victoria. There are different parking areas in the city. All of them are subject to charges. 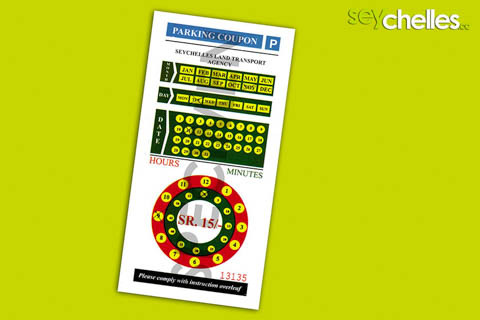 For most parking areas you can use the standard parking coupons, available at the post office. But be aware, that not all of the park-grounds have the same rates, so you might be allowed to stay longer with the same coupon in some places. We prefer the big one at the Sports Stadium (between Francis Rachel Street and Independence Avenue) because it´s the largest and we have found a place for the car easily every time we have been there. 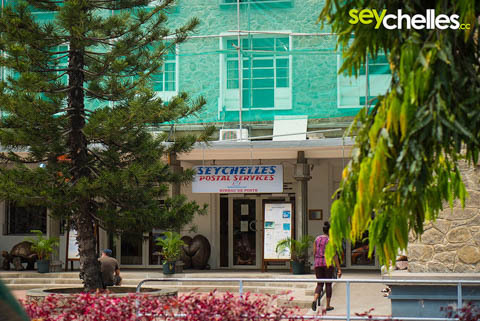 The post office where you can buy the parking ticket is close by just a few meters walk across Independence Avenue. 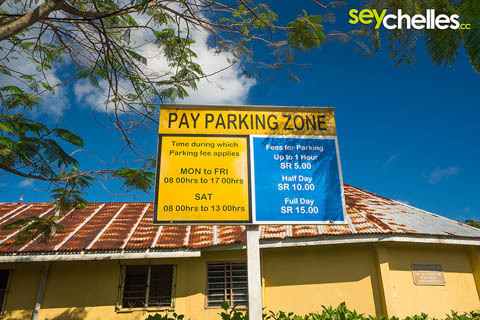 Fees for parking are cheap compared to Europe. There is also a public toilet on the parking zone on the right side looking towards the stadium. 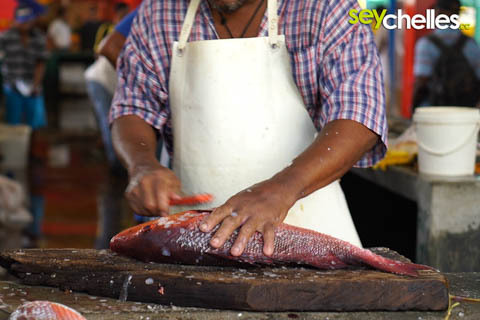 Want to prepare some of the best fish you can get in the world, but don´t want to scale and fillet the fish on your own? Let the people on Sir Selwyn Clarke Market do it for you. 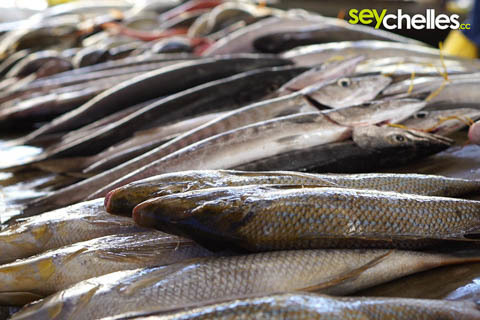 You can buy the fish and ask the fishermen to have it filleted. They´ll put it on a special desk and either you watch them doing it, or you do your shopping on the market and when you return they already finished. Another important tip when cooking fish: wait for the evening. Once it gets dark, all the flies that would otherwise populate your kitchen will be gone by then - promised! Being on a tropical island, you sure want fresh tropical fruits. While you´d expect to get plenty of them in shops, you usually have to find alternatives. 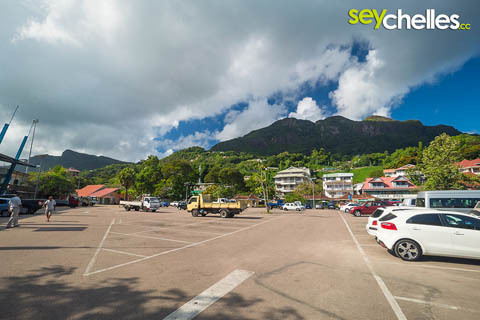 On Mahé you´ll get lots of fruits on Sir Selwyn Clarke Market and on small "fruit-tables" along the road - especially in the south-eastern part. But be aware: not all fruits are always ready to eat. Some need to ripen for a few days, which might not be possible if you have to get home soon. So ask for fruits that are ready to eat. 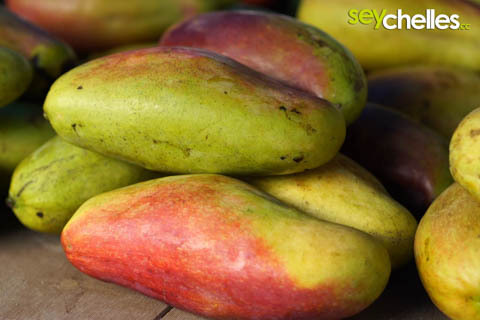 Most of the time you´ll find Mangos, Bananas, Papayas and Coconut, but depending on the season you might also get Carambola (Starfruit), Dragon Fruit and others. Be sure to taste something new like Soursop, when you get the chance. What seems like a strange tip can sometimes be very helpful ;). Beside toilets in some public buildings, you find one on the big public parking area at the sports stadium (the toilet is in right corner of the area if you look towards the stadium), another one at Sir Selwyn Clarke Market and a third one at the Botanical Garden (you have to pay entrance fee for the garden though).